Award-winning Grafton, West Virginia car accident lawyers for SUV, motorcycle, and truck collisions. A car accident is often a life changing event. Injury or financial strain can stop life in its tracks. If you have been involved in an accident in Grafton, WV, it is often difficult to know what steps to take, but the experts at Robinette Legal Group are prepared to help you make the process as simple as possible. They are committed to helping you get the compensation you need to get your life back on track as quickly as possible. A car accident is often a life changing event. Injury or financial strain can stop life in its tracks. If you have been involved in an accident in Grafton, WV, it is often difficult to know what steps to take, but the experts at Robinette Legal Group are prepared to help you make the process as simple as possible. We are committed to helping you get the compensation you need to get your life back on track as quickly as possible. Grafton, WV Grafton is an active town in Taylor County, WV located just south of Morgantown and east of Interstate 79. It is far enough away from these larger towns to be rural, but is close enough for these towns to be convenient. Grafton also has plenty to do within its own area and community. The two main roads that go through Grafton are Route 119 and Route 50, and there are also many residential roads. Although within Grafton, the speed limits slow down, Route 119 and Route 50 are generally higher speed secondary roads. The average commute time for Grafton residents is 23.5 minutes, so most residents use Rt. 119 or Rt. 50 to get to work. This means that residents are at risk to be in an accident on slower roads in Grafton and on faster roads near Grafton. There are several annual events in Grafton that add excitement to the year. Probably the biggest event is the Taylor County Fair. This is a traditional county fair complete with rides, music, a pageant, competitions, food, and fun for the whole family. Also for good family fun, there is a festival at Tygart Lake and annual fireworks for Independence Day. Taylor County and the Grafton area is a beautiful rural area with lots of places to see the wild and wonderful scenery of West Virginia. One of these places is Tygart Lake State Park. It features camping, dining, and lodging facilities, and there are many activities available. These include boating, fishing, geocaching, golfing, hiking, kayaking, and nature programs. Also near this area is Valley Falls State Park. 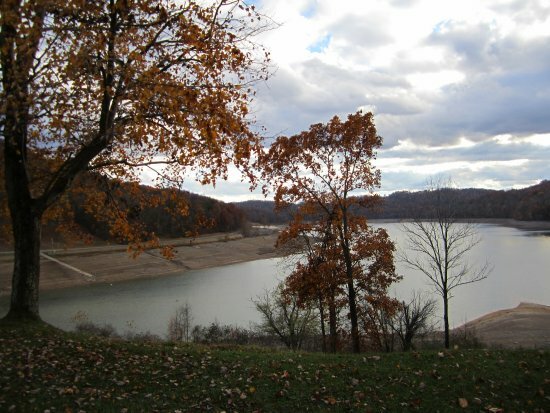 Although in neighboring Marion County, it is just up the river from Tygart Lake State Park. It includes hiking, sightseeing, waterfalls, fishing, and a picnic area. Because of the beauty of this area, it is also a popular location for small weddings. Grafton is a historical town, and has a few places that are very much worth visiting. One of these is Andrews Methodist Episcopal Church. This church, in 1908, observed the first Mother’s Day which was initiated by Anna Jarvice whose birthplace is near Grafton. There is also a B&O Railroad station that was used and fought over in the Civil War. Most of the main buildings in Grafton were built in the late 1800s and early 1900s, so much of Grafton is indeed historic. Grafton is a wonderful place to live or stay, but like everywhere else, there is always a risk of accidents while traveling. If you are in an accident, take these recommended steps. •	If you are not seriously injured, move the vehicle to a safe place out of the flow of traffic. If this is not possible, turn on the hazard lights. •	Put the vehicle in park, get out, and assess the situation. If you have flares, this is the time to set them out so other drivers can be warned. •	Check on the others involved in the accident. Call for emergency medical help if anyone is injured. Do not try to move anyone who cannot move themselves. Instead, do your best to keep them safe without endangering yourself. •	Call 911 to report the accident to the police. It is best if the police can come to fill out an accident report as this can be valuable later. If the police do not come, file your own accident report at the DMV. •	Record as much information as possible using a camera as well as paper and pen. Essential information to record is names and license numbers of those involved in the accident, involved license plate numbers and other information about the vehicles, insurance information of those involved, contact information of eyewitnesses, location, and information on the police officers who responded to the scene. Also, take as many pictures of the damage as possible. •	File the insurance claim with your insurance company. Call Today! If you have suffered injury or property damage in Grafton, WV, Robinette Legal Group is waiting for your call. Their experienced team is ready to help you get the compensation you need as quickly and simply as possible. Call 304.594.1800 to find the help you need to maximize your claim.